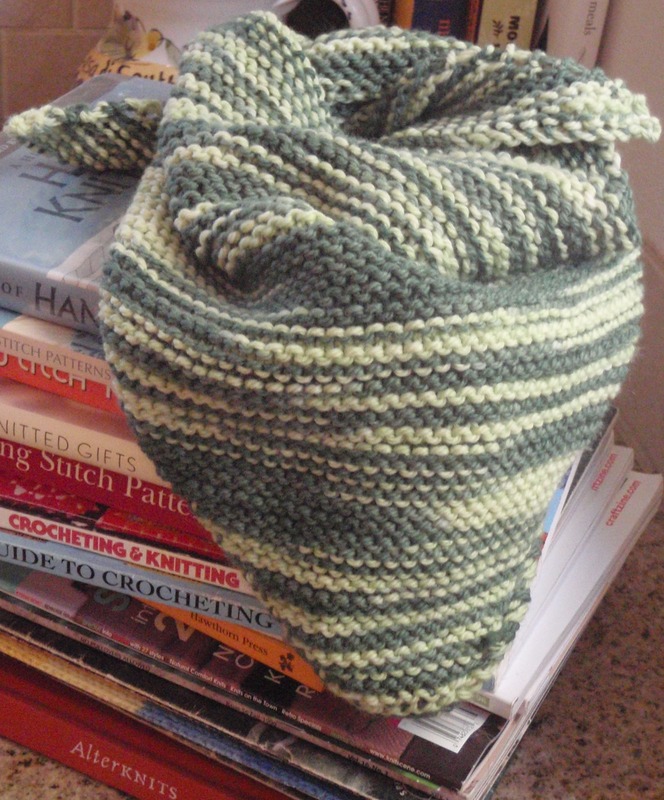 Just knit up this delicious kerchief for a certain someone who cannot be named… smiles… wonder who it might be? Hmmm… and what’s that underneath that yummy green kerchief? 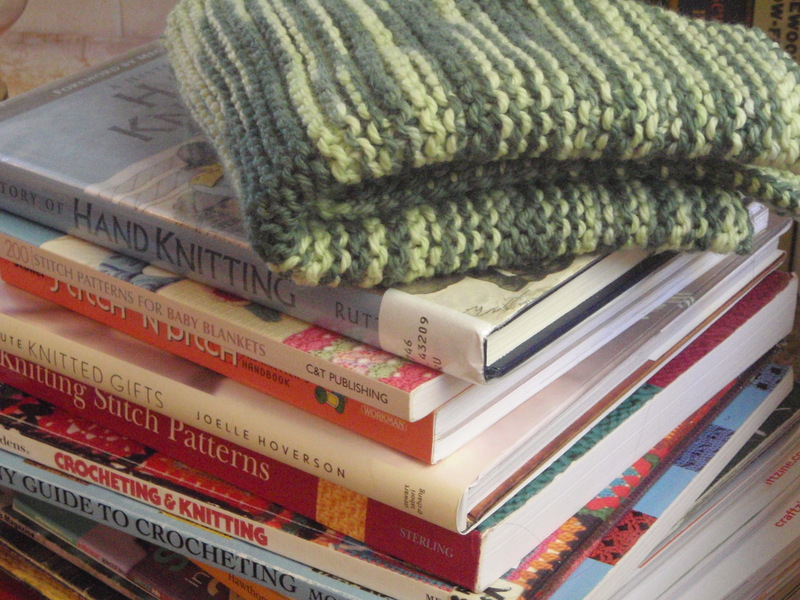 Could it be a tantalizing stack of knitting books? Why yes, it is! 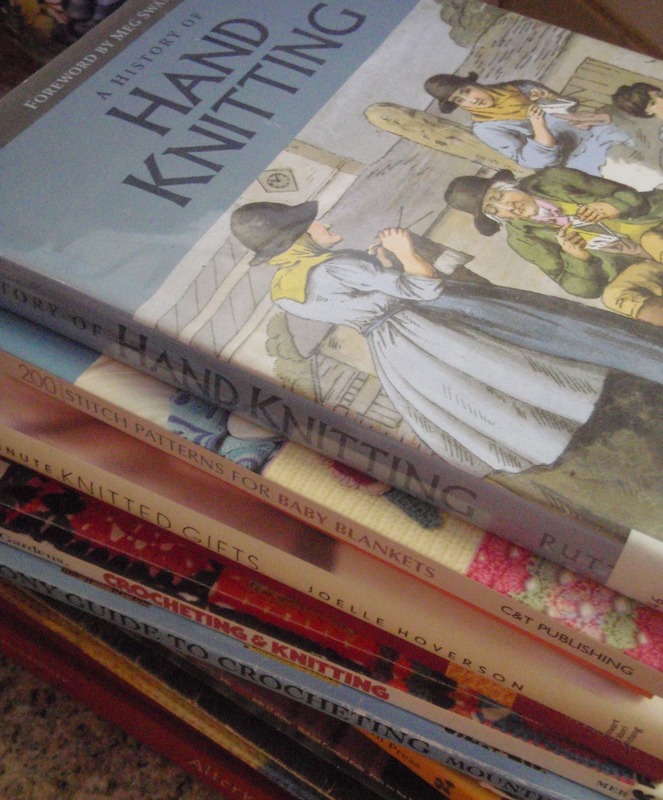 And right there on the top is my current read, A History of Hand Knitting by Richard Rutt, and it’s absolutely fascinating. I just love that the cover depicts both women and men knitting, so cool. On that note, I’d like to say how thankful I am that someone, a long time ago, invented knitting!